There comes a time when noodles and ramen would be never enough. As Filipinos, we usually like to eat different viands in each meal. It's never just going to be noodles or just deep fried dishes or plain old meat. There has to be something else to get us going. Personally, that's how my family does it and I'm guessing that's how others prefer it as well. ENTER IPPUDO. 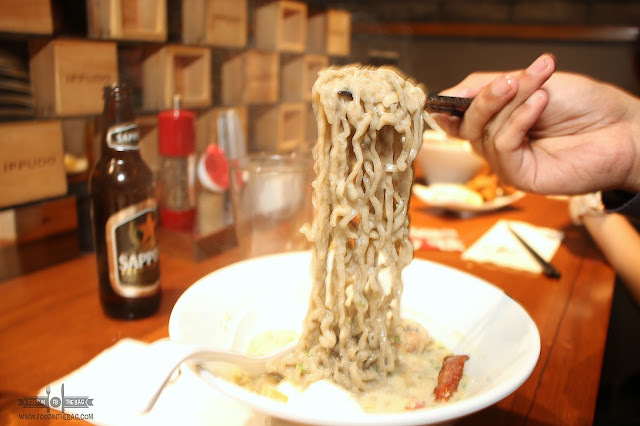 Known as a ramen place, they have been innovating and coming up with new dishes ever so often. 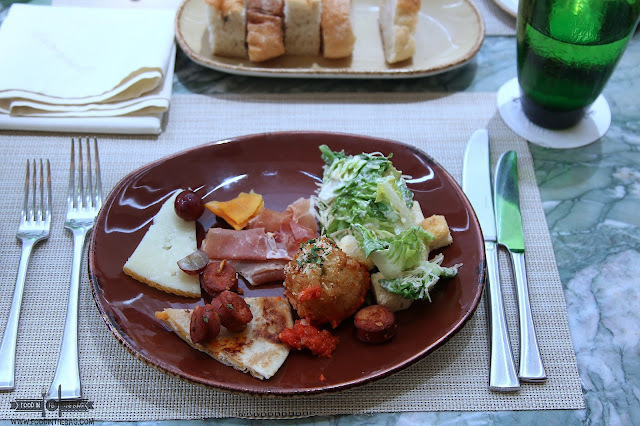 They like to entice foodies to come on over not just for the classics but for something else. More so, that they offer other worthwhile dishes instead of just being RAMEN. 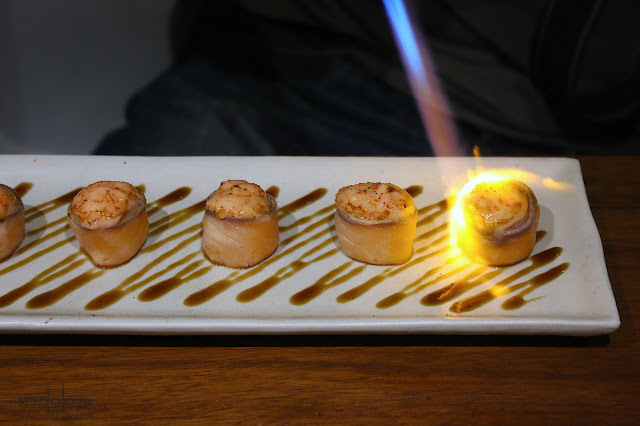 Just like that, a dish was placed on our table and torched. 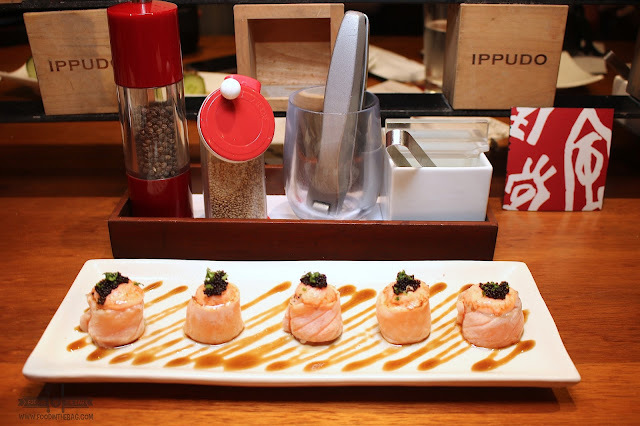 It was IPPUDO'S version of an ABURI. 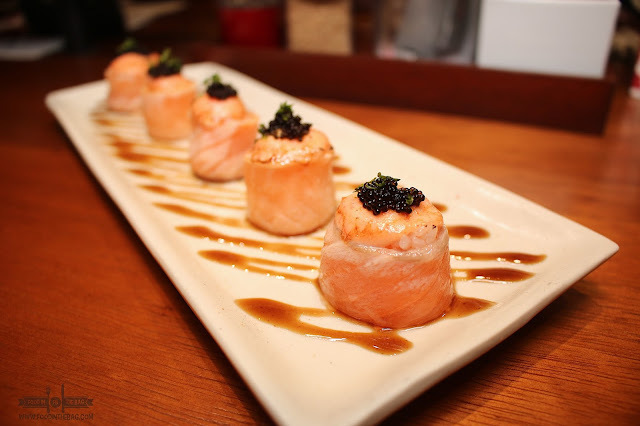 The TORCHED SALMON ROLL is a favorite. Topped with metaiko mayo and fish roe, it had a familiar taste. It was something similar to bite sized salmon which had heavy Japanese Mayo flavorings. I would have enjoyed it more if there was more metaiko in it. Nonetheless, this is a must order. The TEBA GYOZA is another winner. This is known as dumplings on steroids. 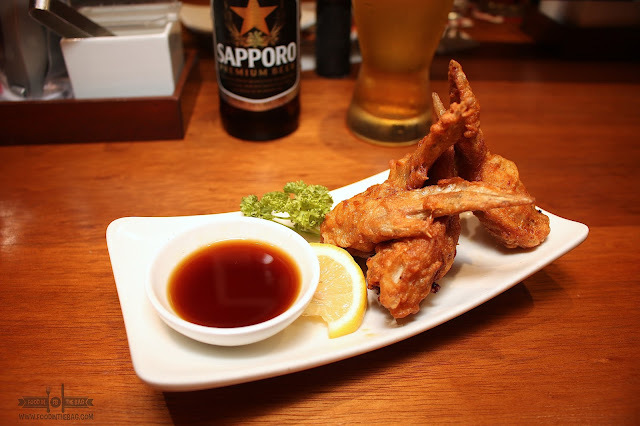 Stuffed with meaty gyoza filling, this chicken wing dish is perfect to partner with SAPPORO BEER. 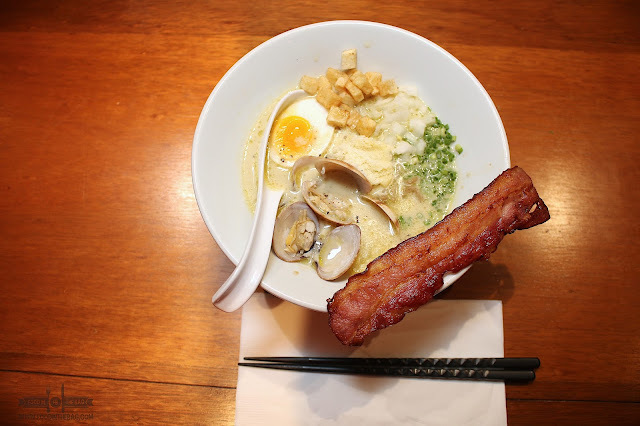 Something different and not really Japanese, the CLAM CHOWDER RAMEN was brought in. This one is actually an import from IPPUDO NEW YORK. It was redeveloped for the Filipino palette and as such served with BACON. They would suggest for you to crack the bacon into tiny bits and have it spread all over the dish. Unique for this dish, the BLACK PEPPER NOODLES were used. This compliments the tonkotsu broth together with the bechamel sauce. The clams and the parmesan cheese made it a bit heavy but a joy to eat. 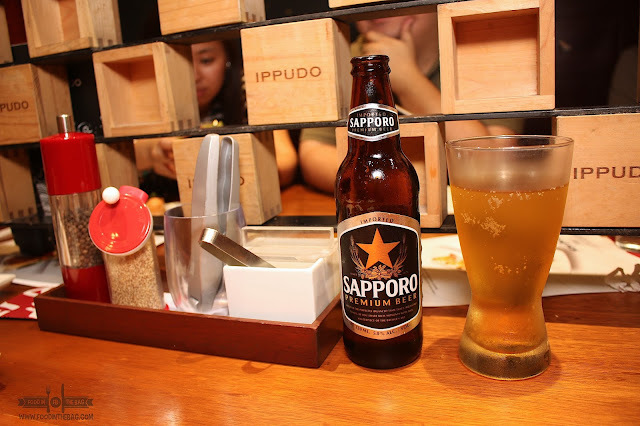 Definitely, more and more options are preferred here at IPPUDO.